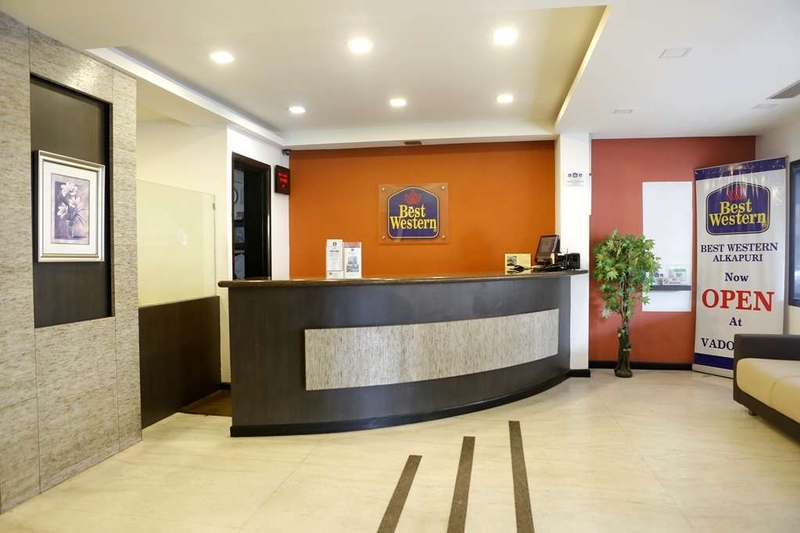 El Best Western Yuvraj se encuentra en el centro de Surat. Venga y disfrute de las mejores atracciónes turísticas cerca de nuestro hotel. Precios bajos garantizados y ofertas exclusivas. 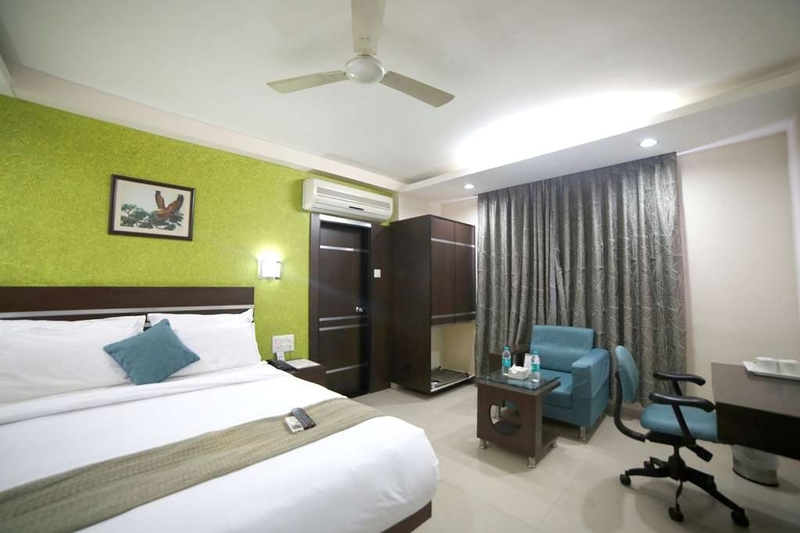 El Best Western® Yuvraj en Surat, conocida como Ciudad de la Seda y Ciudad de los Diamantes, se encuentra en la parte occidental de India, en el estado de Gujarat. La ciudad se encuentra en la orilla izquierda del río Tapi, el segundo en importancia en Gujarat y el noveno más importante en India. La ciudad es famosa pos sus negocios textiles y de diamantes. Tres cuartas partes de los diamantes de todo el mundo se cortan y pulen aquí. La ciudad también es conocida por su original cultura Surti y disfruta de un agradable ambiente estudiantil gracias a la universidad Veer Narmad South Gujarat University. Las principales atracciones turísticas de Surat son Dandi, Dumas, Tithal, Bardoli, el Museo Winchester y Gopipura. Near railway station. In a lane near by the station so that it is sufficiently away from the usual rush and noise. Good food. Good people. Good staff. Washroom leaves a few things to have a relook. Do not expect good view from windows. I have stayed for a very short time in this hotel. Location is very close to Railway Station which suites me as I reached late evening. 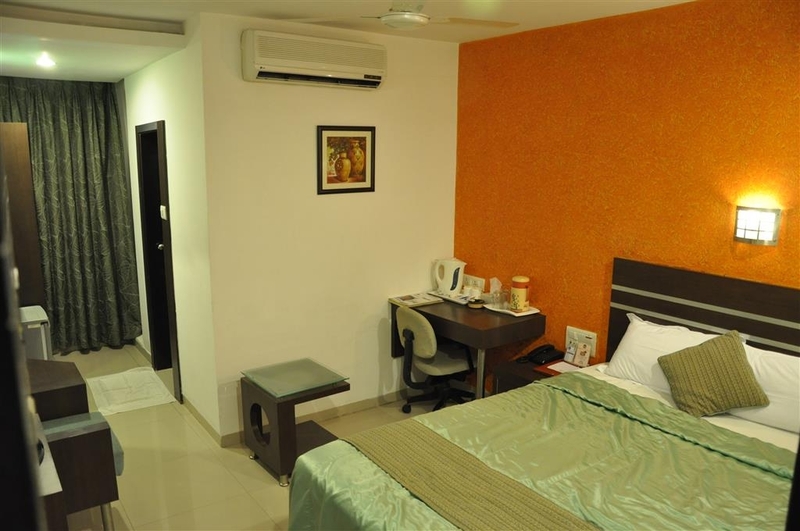 Rooms are spacious, neat and clean, beds are comfortable. Breakfast was also good. Staff was also polite. Overall a good experience. 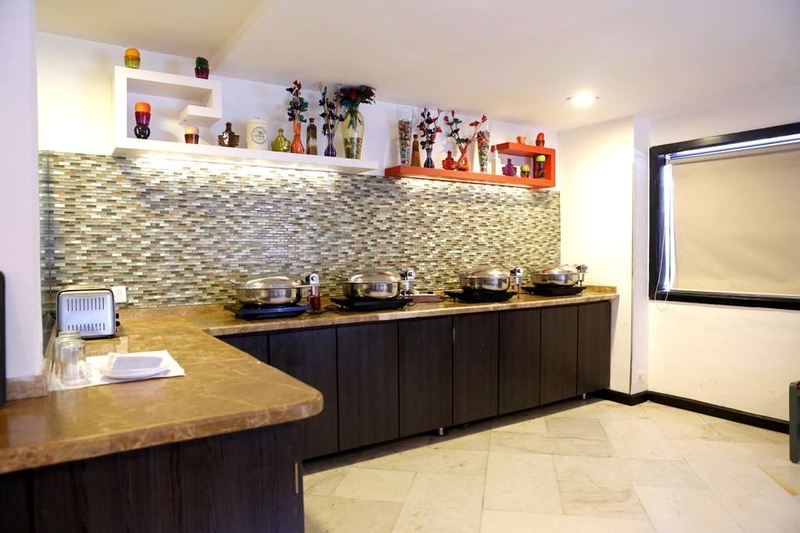 This hotel is best for any work.many people are going to this hotel.very low costly hotel in this area.this hotel is very classy and clean room's.service is very fast.food is very testfull and healthfull. "Very bad experience with this hotel"
The hotel is in a narrow dirty road but when you step inside the hotel, you are transported into another clean and sane world. The service is good and friendly staff. Easy to purchase food from outlets nearby. By the way no alcohol allowed in Surat and Ahmedabad. You have to have a special permit to purchase alcohol. No good places to visit. More a business textile city. 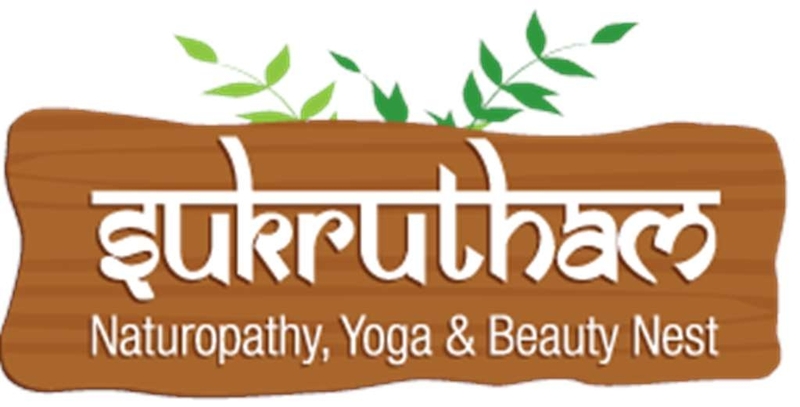 Best place to buy saris and Indian wear. Right opposite the railway station. "Third class receptionist and internet speed horrible." One snob will welcome you at the reception with the most disgusting expression. Awesome service of the rest of the staff might not make up for it. Internet and breakfast too are a huge turnoff. Amenities need to be demanded. "Good place in the city centre"
Stands by the image that we have for the "best western". 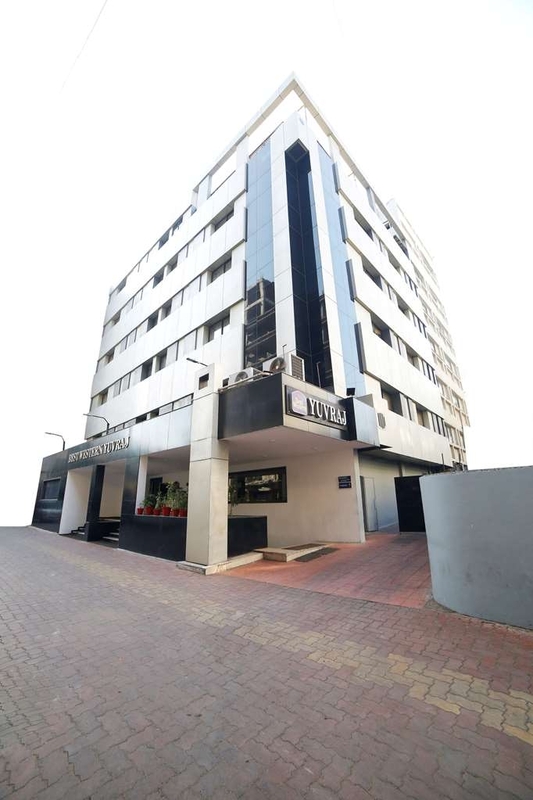 Walking distance from railway station and bus depot. Rooms are good, neat and clean. The one i was allotted had a damp smell but the problem was solved. Linen and bathroom both were clean. Refrigerator in the room was working well. Veg restaurant with 24 hr rooms sevice is there. Non veg food is also served but is limited in room dining. Staff was helpful. Overall a good experience. Certainly Recommendable. 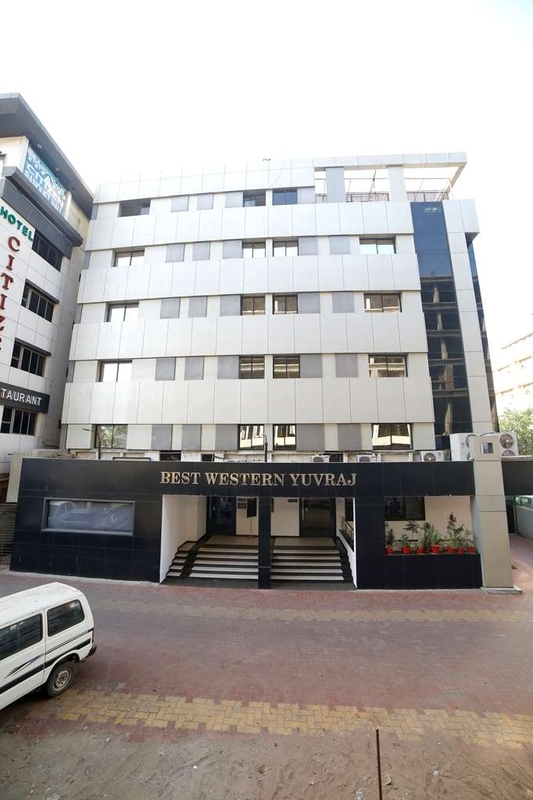 "Best Western ..... YUVRAJ Hotel"
I was attracted by the name “Best Western” associated with the hotel due to my good experience with Best Western hotels previously. 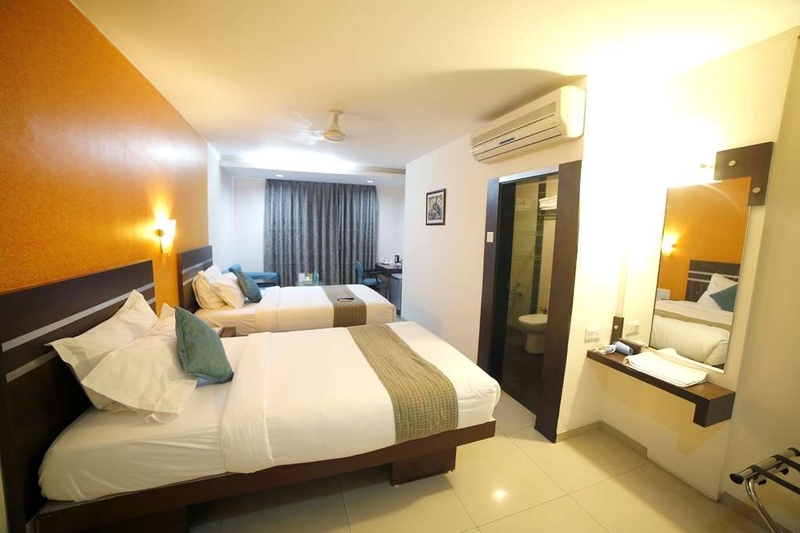 Pros - Located very close to Surat Railway station - Rooms are well appointed - Helpful staff Cons - Bit over priced,bargain well - The approach is through a busy small lane and parking offered is in that lane itself, so it was bit worrisome to park the car there,but, nothing happened to the car. - Breakfast has less variety and is not well presented. "WELL PLACED ! GOOD PRICE ! 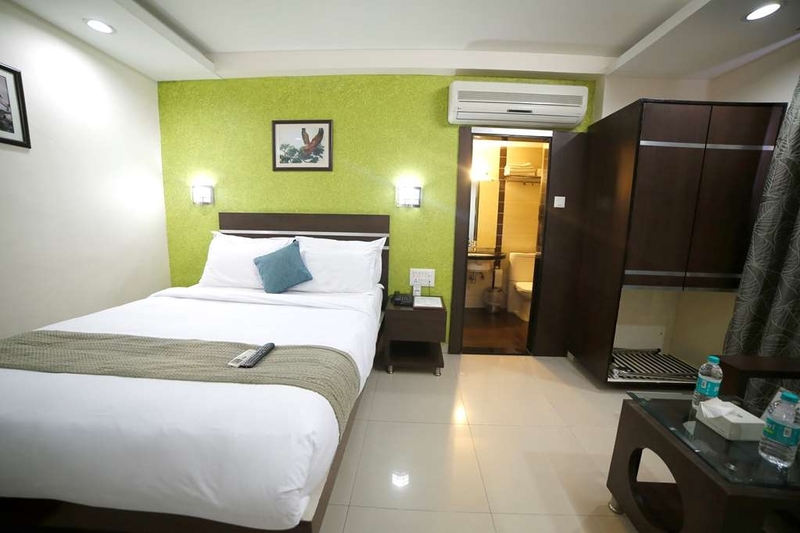 GOOD ROOMS"
The Best Western Yuvraaj hotel is placed bang opposite to the Surat Railway station and is a mid budget hotel offering a good business kind of accommodation with medium sized rooms with white clean linens and a good spacious bathroom. 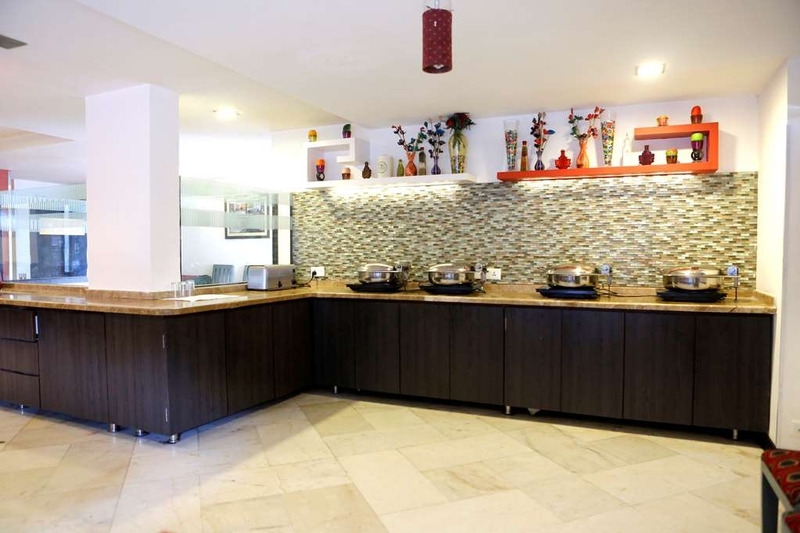 Their breakfast is also nice with a reasonable spread and offers local cuisine as well. Choose this hotel for your business trip and you won't be disappointed at all. "5 star property at 1 star rate"
Small rooms, hotel located in a noisy place near the railway station. The room had clean bed sheets and towels, quite well maintained. Breakfast is average and the number of items served was quite a variety. Good front desk staff. 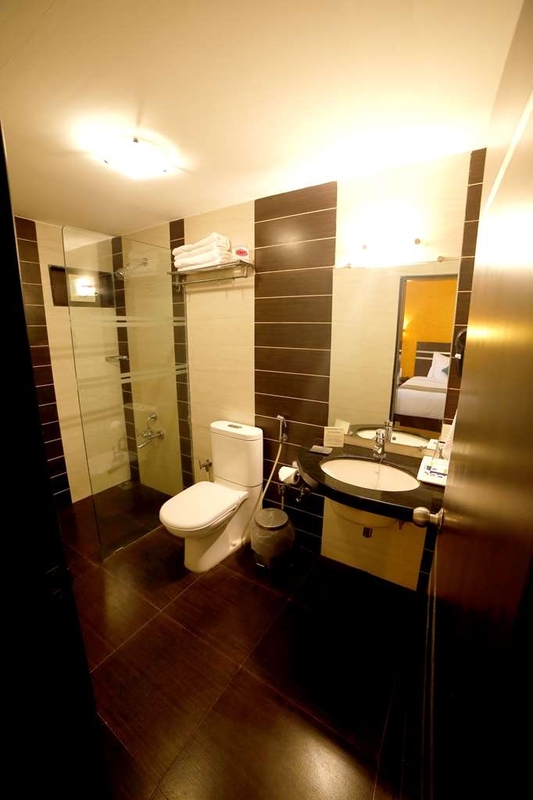 Bathrooms are also clean and toiletries quality is average. Rom WiFi is slow. There are a number of hotels for dinner around this place and the famous Purohit thali is just at a walking distance. Considering that most Surat hotels overcharge, I would rate this hotel the same and give it a 6/10. 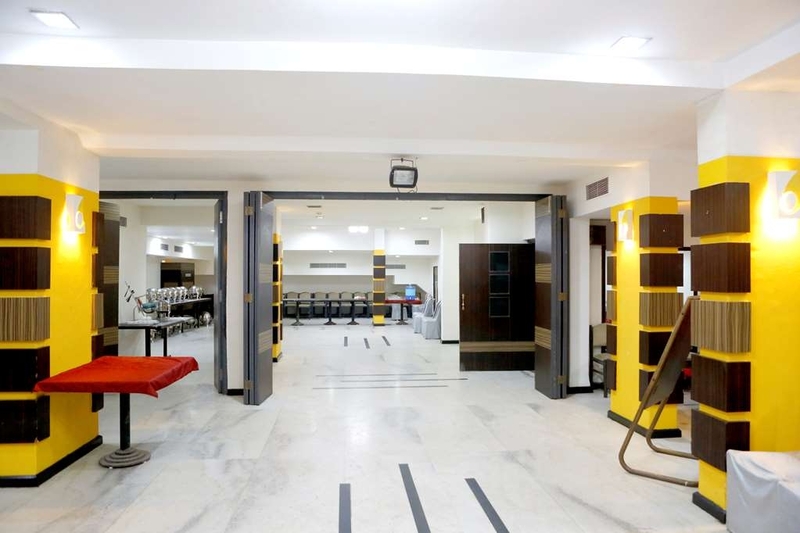 "Did a training programme at Parampara - one of their conference rooms"
Was not at all happy with the arrangements. The breakfast and lunch were not ready on time. Constantly, staff were coming in with potential customers to show them the conference room when the training was in progress. No attendant was available - hence if anything was required, we had to run to the Reception to find someone. Washroom was very small - only for 1 person at a time - causing queues during break times.Food served was average. 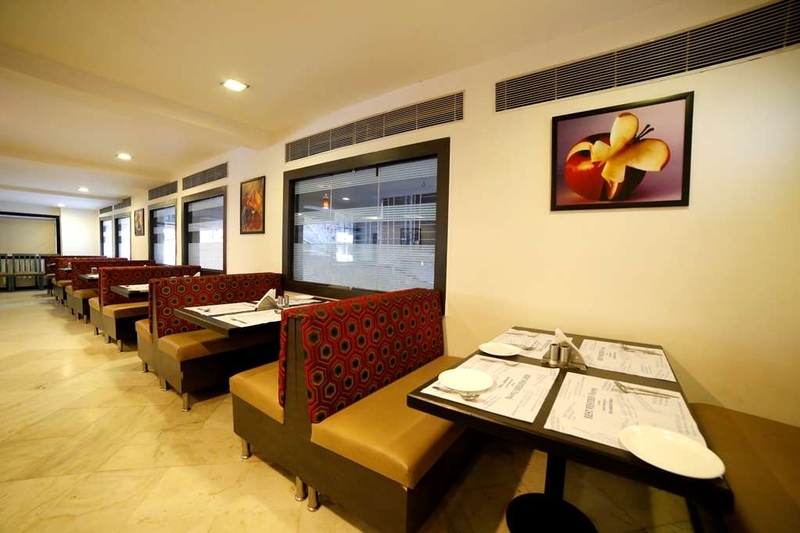 "Food quality is very good and staff"
Very Nice Place To Stay If You Visit Surat For Business Or Sightseeing, Because It Is Situated Near Railway Station. Staff Is Well Trained And Rooms Are Nice. 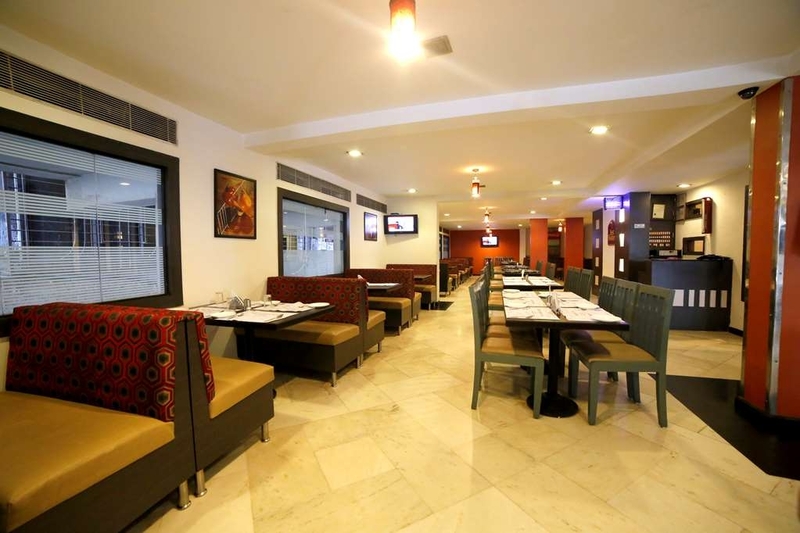 In-House Restaurant Is Pretty Cool And Serves Delicious Food With Fairly Cheap Price Tags. I Was Very Pleased With The Stay There. 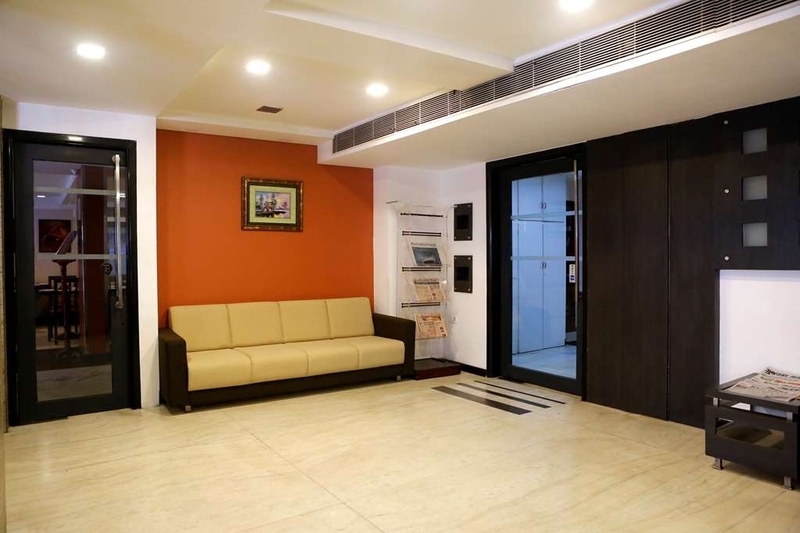 "Very satisfied with my stay in Surat"
This hotel is located in Surat, Gujarat, India, very near to the railway station and on a road that goes inwards from the main road. So, it is not really visible from the main road but is well known among people of Surat. I was originally booked in a Deluxe room but it was small, so I requested an upgrade to a bigger room, subject to availability, which I got! The rooms were really well maintained. The bathrooms are fitted with new fixtures and very clean. The room floor is marbled, bed and linen were non-smelly and neat . LED lights and false ceilings enhance the room decor. Kettle for making tea, small fridge, TV, two tables, sofa seat and work seat are all well placed. The staff was very helpful, cooperative and efficient. All said, I was very satisfied with my stay in this hotel and would definitely recommend to others. "Great location, clean rooms. Stay is value for money"
I had booked this hotel because it was close to our office, we had not checked out and gone to have breakfast and went back to our room to use the washroom just before leaving and found a lady staff member inside, when I asked her what she was doing there she said I thought the room had already checked out since not of your bags are here. She already had a key with her to open the door she left the room because I asked her to leave. I went and complained the same to the reception they said they will call the staff member as soon as she came instead of asking her not to do it again they told her to ask at the reception first before entering a guests room, instead of asking her to use a staff room they encourage the staff to use guest rooms. What if she would be changing or I would be ? This hotel is absolutely unsafe with the worst staff who really didn't care a damn. Highly unrecommended. "Best in class business hotel"
Yesterday on my birthday we had come here for a dinner party with family and from the outside and seating arrangements it was looking an ok ok restaurant but the dinner was very delicious here. Also I have heard that this is an economical place to stay. So folks for an enjoyable experience try this place. 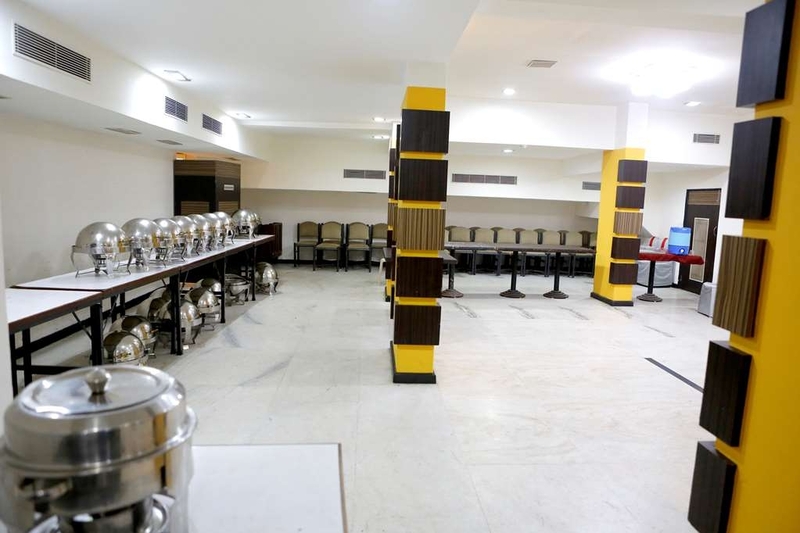 "Economical business hotel near railway station"
"Very good experience, Nice Ambience and perfect location"
"food was nice. rooms are decent enough. support staffs are helpful." 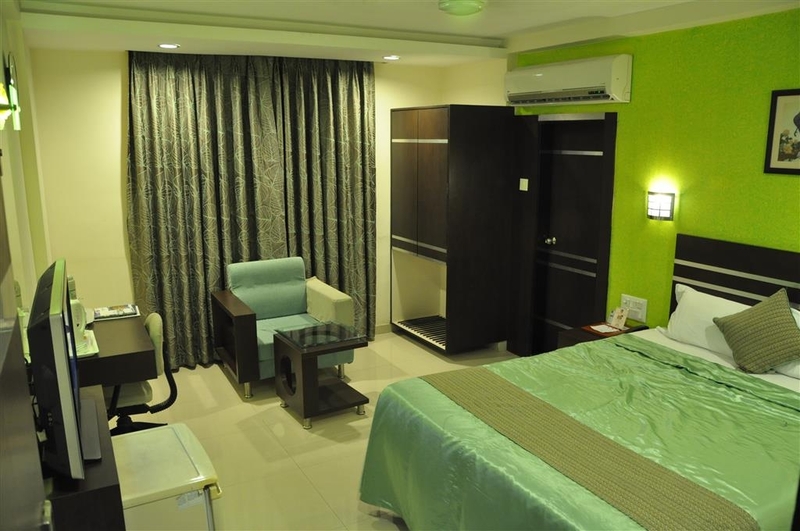 Business trip, Average hotel but very very close to surat station, walking distance. Room was clear with basis amenities, without luxury touch. We took a twin bed room. Room size is also very small. Rest is good for 1/2 stay not more than that. "Nothing to complain with stay"
Good buget friendly hotel near the railway station. Stayed here as a part of official visit. Rooms are clean and equipped. Breakfast is included but very average. Bit inside from main road and can get missed easily. Good eating joints right outside the hotel. "Pathetic Reception and guest Handling"
This one is my second visit but siyuation is same. Till yest late night 9 rooms were available and today at they denied of having any room ready. Even way of handling customer is very bad. The person who cane late and pushed got room first compared to me waiting for more than 40min while they committed to provide on 30min. Even recption guy was reactive in saying i am not denying to give you room when i asked can u do that then he calm dowm and said i am trying to arrange fast. Last time also i compromised on room category due to poor management. Rooms are very small. Breakfast spread is ok kind. Taste of food was not much appriciated. Licated at walking distance from station. Poor service. Not recommemded for stay. Mine is also the last stay here. "Peaceful place for a night stay"
Whenever in Surat, this is my place to stay. In spite of being situated in the heart of the city near the Rly station, it is still peaceful here. Although, the place is vegetarian and dry being in Gujrat, it is still value for money. Food here is simple being veg and they have the Thali system, which is more popular here. There is nothing great to write about it but still worth the price. 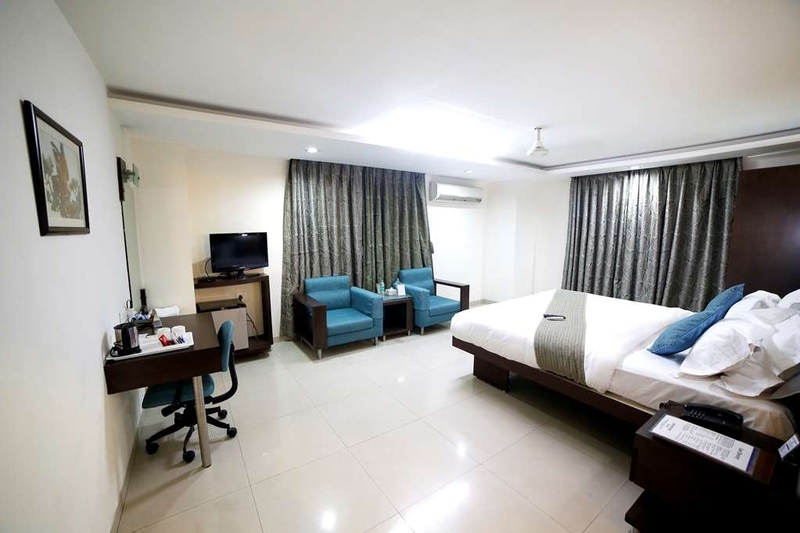 "Good hotel for business as well as pleasure trips"
- Professional & courteous staff - Good facilities - Fantastic food (has it's own restaurant) - Close proximity to Railway station - Part of a international chain of hotels (Best Western) It will be my preferred choice for my future visits to Surat. "Good for one day Business halt but not for family stay in Surat"
We reached this hotel approximately at 10 pm..The reception was rather lethargic..not the type you would expect after a tired day journey..Taking their own time to complete the formalities..I think all hotel staff must be given training to treat customers with a smile and priority/..They are at your door steps to get rejuvenated and not to see your lazy style. When I complained I was given a terse reply, sir the delay is your side.. Mind you i had two rooms for reservation . Moreover when you see a family with prior reservation, keys must be immediately given to keep the luggages and the ladies to get in. Anyways coming to the hotel, its close to railway station with a cluster of other hotels. The good part is they have their own parking. The bad part is you have to drive in through a small alley to reach the hotel . Rooms are small compared to any standard hotel ..which makes it a bit cramped..and does not allow you to enjoy ..No views available as its located in a tight location with buildings all around. Didnt get the chance to taste the restaurants as we departed early morning for Mumbai. Will I stay another time..yes if i am in a hurry and alone on a business plan. Not if i am with my family and on a leisure tour. Note: the photo the hotel has posted on website is slightly bigger than the actuals looks IMHO. "Good Bed, Bad service "
Good Food , Nice ambience .very good service. Near to railway station. Location is dense but once you enter in to hotel they have nice ambience to feel you relaxed. I ate in Restraunt but annoying thing is they charge both for service charge and service tax. We are liable to pay tax only but forcefully they charge both I had to literary had hot words to cut it from my bill. This not good practice by such big chain hotels. Stop doing it. 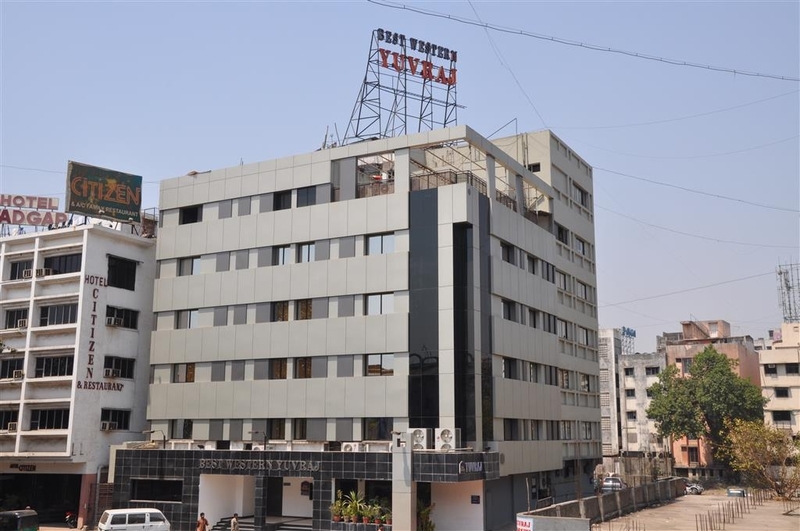 "Near to railway staion "
Yuvraj hotel is very close to surat railway station. Celtrel located. Hotel is good and services also good. Staff are working friendly and helpful too. Room is good and room services also good. Facility are good. "Good Stay near by station"
If you are reaching Surat late into the night, just like I did, then this is the place you would want to get into. Located bang opposite to the railway station, it hardly takes a couple of minutes to reach the hotel and catch up some much needed sleep. Check-in formalities are quite fast and staff is courteous. Try the signature Gujarati thali as a team of four takes turn to serve piping hot delicacies. Room is average but well provisioned and maintained. Wi-Fi is free and troublesome. It's a good hotel Strict veg Near to railway station Deluxe rooms are nice Staff are cooperative Overall good experience. Wifi is free. Breakfast is ok ok It can be improved. Room service is great. Ordered cheese toast and chocolate shake at 1.am. and it was awesome. 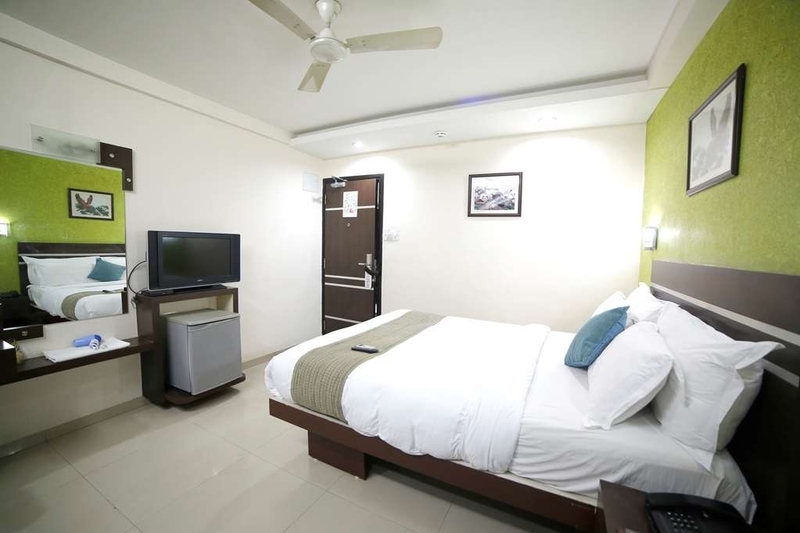 "Nice hotel near by station"
I was on business tour to surat and hotel was Just a walkable distance from both railway and bus station. Tariffs are little bit high compare to other near by hotels, go for online booking for reasonable tariff. Complementary breakfast was nice and overall had a good experience. "short overnite stay at Surat"
Main reason for selecting the Hotel was proximity to Railway station.Full mark for that.Rooms are nice,decent and spacious.Bathroom is also clean and hygienic.Rates are reasonable and depending upon your negotiation and their occupancy you may get discount also.However wi fi not working properly and Mobile signal strength is also poor.Even landline was an issue.Food is ok. However limited choice near station and still it is value for money. 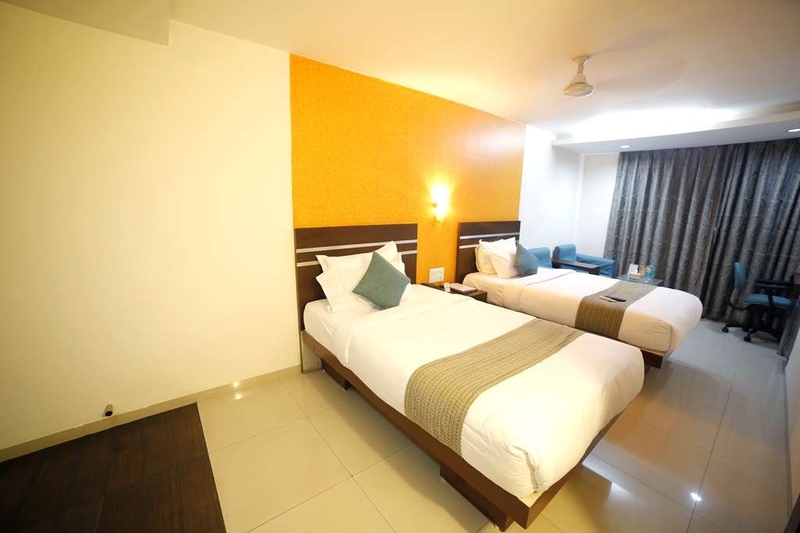 Best western yuvraj hotel is good for stay. Room is good and clean. Facility are average good. 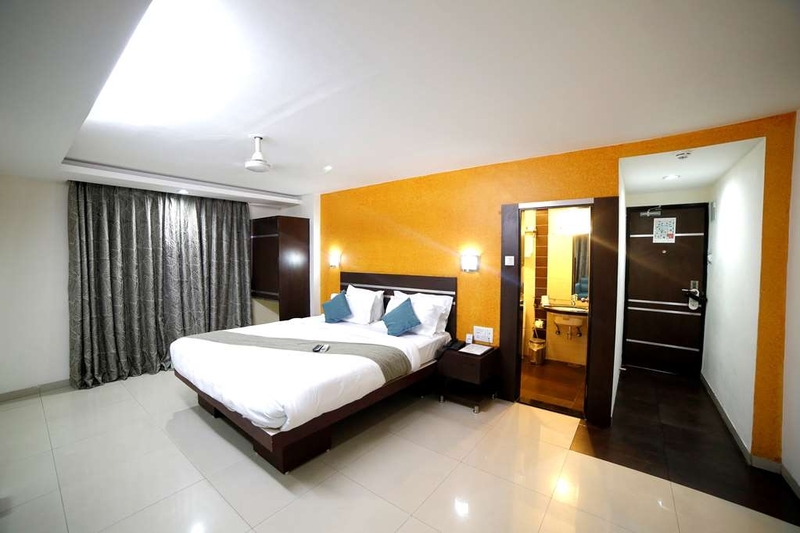 Hotel is very near to Surat railway station. Food are good and staff also working very friendly and helpful. Room cleaning is good. Services are also good. Good for economic class. I resently had a stay at this hotel because on business tour. Must admit!! Thiis hotel is worth staying from my point of view cause the rooms are very spacius , good ambeince, easy to exess (near to staion) and the breakfast was awsome! The chekin and chekout was very smooth. Overall 8 out of 10. "Liked it until I found Budget Inn Bellevue"
Dear Sir, Good Afternoon! Thank you for completing the survey regarding your recent stay at our property. Your business is very important to us and we value your feedback. By telling us what you liked about your stay and how we can improve, you are helping us deliver a superior experience for you and other guests in the future. We hope you will come back and see us again soon. 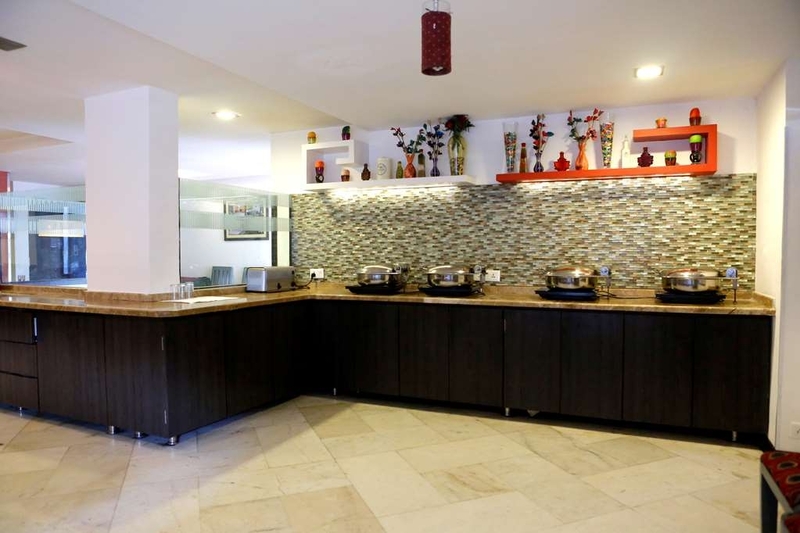 I would like to inform you that our rooms are design as per brand standard with all amenities , and our breakfast have around 25 items which we used to change. If I can be of assistance in the future, please don't hesitate to contact me at 0261-2413001 (5 Lines). Thank you again for taking the time to complete the survey. We appreciate your loyalty to our brand. 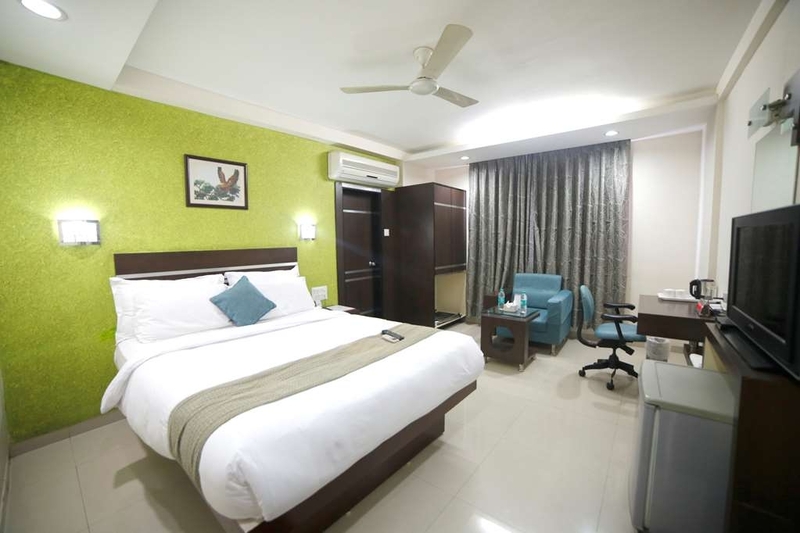 "Decent place to take business break"
"Best Hotel With Excellent Staff..........."
Yuvraj hotel situated in the heart of surat near railway station. 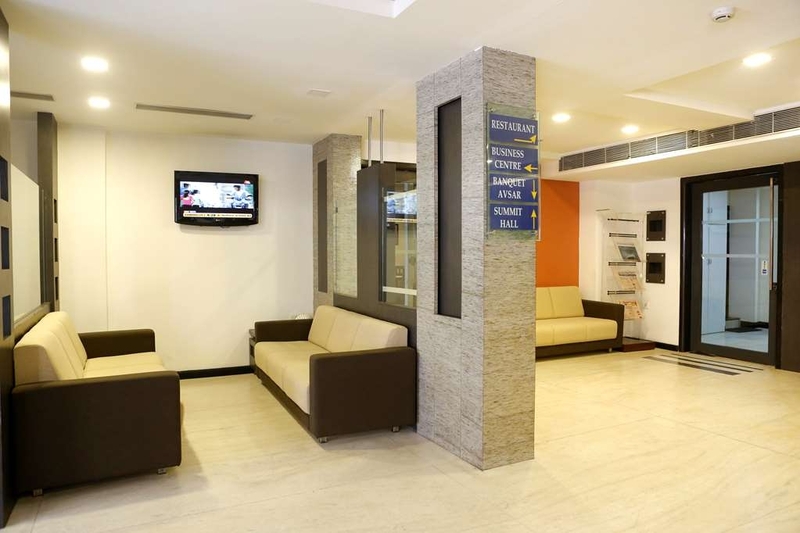 It provides nices suits rooms to stay with amazing customer services. 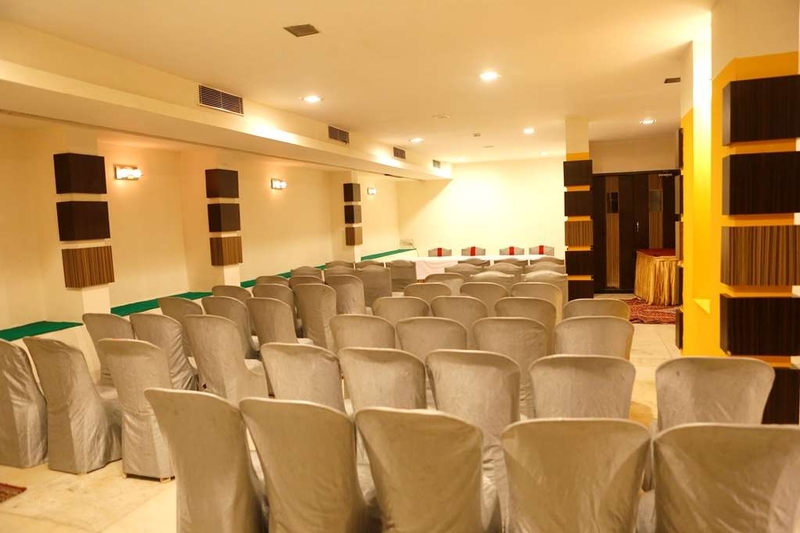 It also provides conference halls for business purposes. Food provided by hotel is amazing. In short decent hotel to stay. Everything was very comfortable, and the price was really affordable. The restaurant in the basement was very nice, quite small, but the meal was good. The Wi-Fi in the hotel worked well and was free.The rooms comes with good facilities and good enough to make your stay comfortable and staff management were helpful for families. "Best restaurent in the city." Good restaurant in surat serves good food and best thing in location just opposite to railway station Thali is also the best . 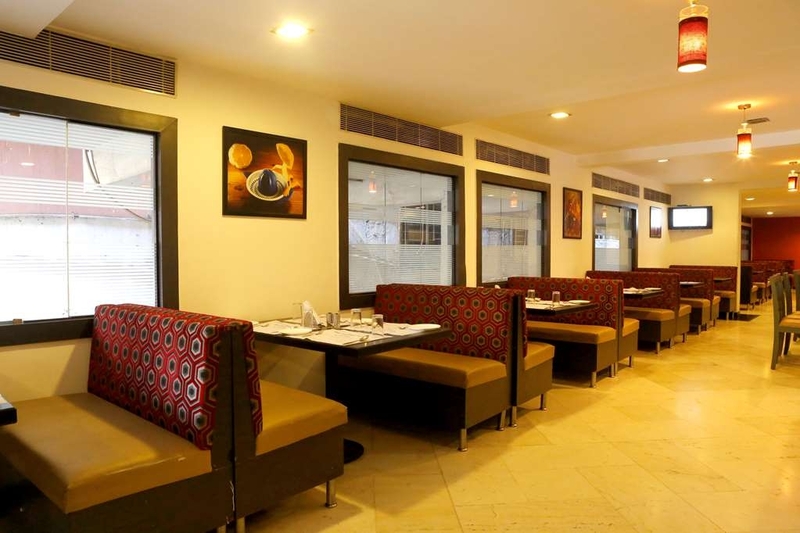 Gujarati food and taste to be observed Hotel is also very good and as per the brand name ie Best Western. "Overpriced for the quality & size of the room"
The room (No 113) was about 8' X 8' but clean. All amenities were provided. Restaurant is not the same as earlier. Took 45 mins to serve a dosa & coke. Staff was helpful. Good location. The room had no windows. "Management is still the same, food and stay is still great"
This hotel is one of the childhood Hotels. We always enjoy our stay. We frequently come for Dinner as well. Food is great and service is also very good. We keep visiting this place. Must try once with your loved ones. 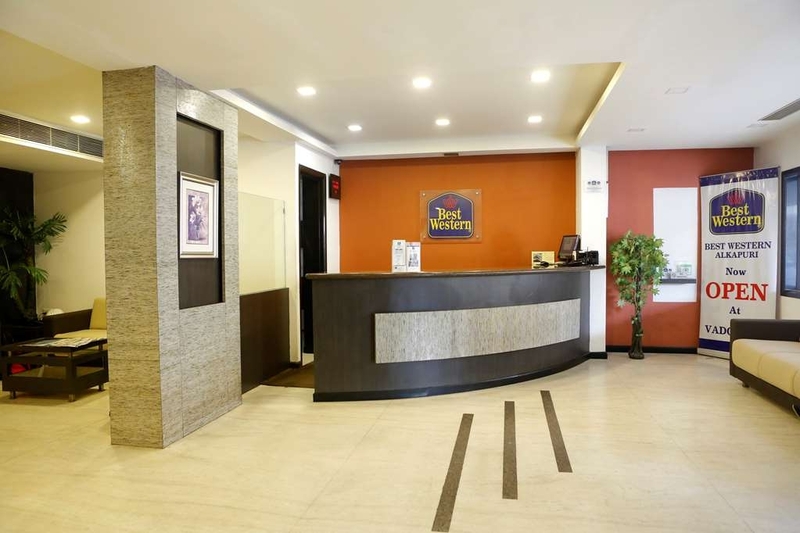 "A GOOD HOTEL IN SURAT"
A neat hotel.Excellent managment who checked on the guest and their experience at his hotel.Good clean rooms .Excellent room service.Good wifi connection.hotel provides free internet usage with their computer setup in the lobby. Visited with family. Nicely located . Public transport is easily available from here. Staff is helpful. Free wi fi available which is of good speed. Breakfast served was good.Food served at their restaurant is good.Rooms are well maintained and cleen but they are too small in size. Overall good stay. Room is too compact. I had book room through Yarra with bed & breakfast . I had also confirm there. But they take charge. Service is very slow in room. Recaption serviceing for check in & check out is fast. "Average rooms for its price"
I stayed in the hotel for almost 2 months- Oct & Nov-2014. I found the room size to be very small. Decor and ambience were good. Hotel staff appeared well trained and helpful. Food served appeared nice in the beginning, however overtime I found it to be excessively oily and expensive. 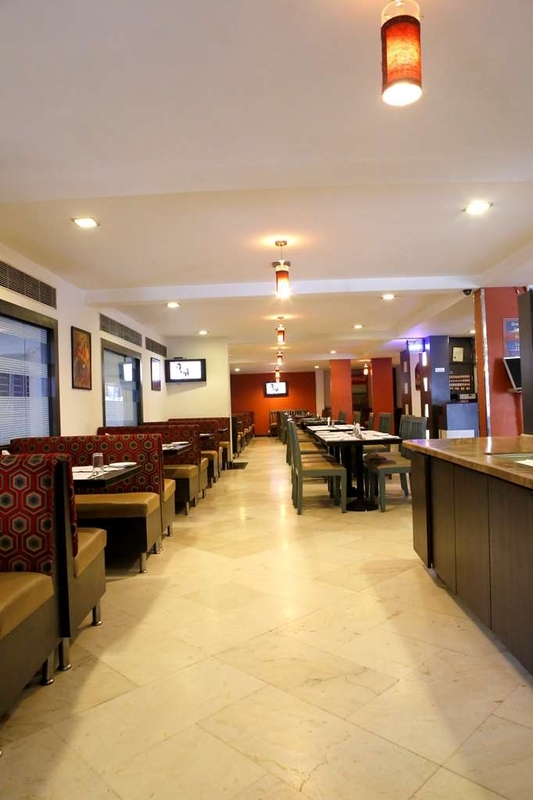 The hotel is located close to railway station and there are several eating joints and restaurants in its vicinity. This area of town is not low lying and remains safe even during flood conditions in the rest of the city. 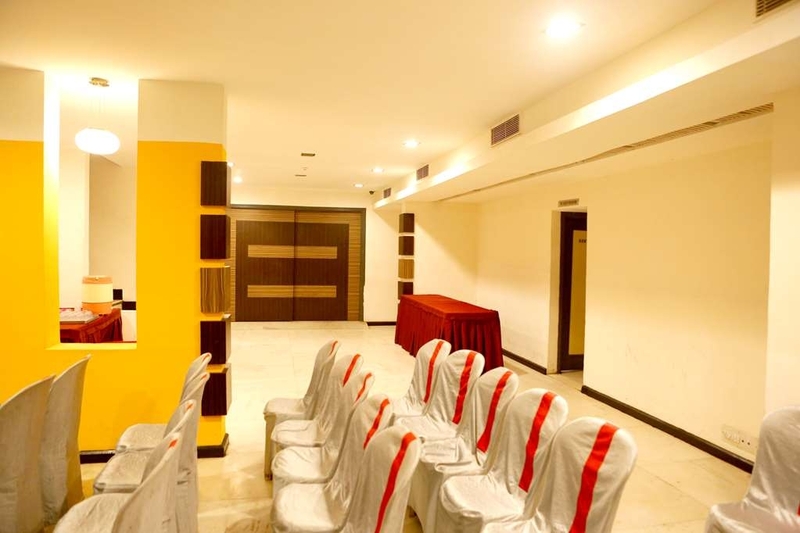 During festive season and marriage occasions, the hotel is booked in advance and many functions are held in the hotel. I would recommend this hotel if you are visiting Surat on a short business trip but not for an extended stay. I had stayed at this hotel during wedding function of my relative. 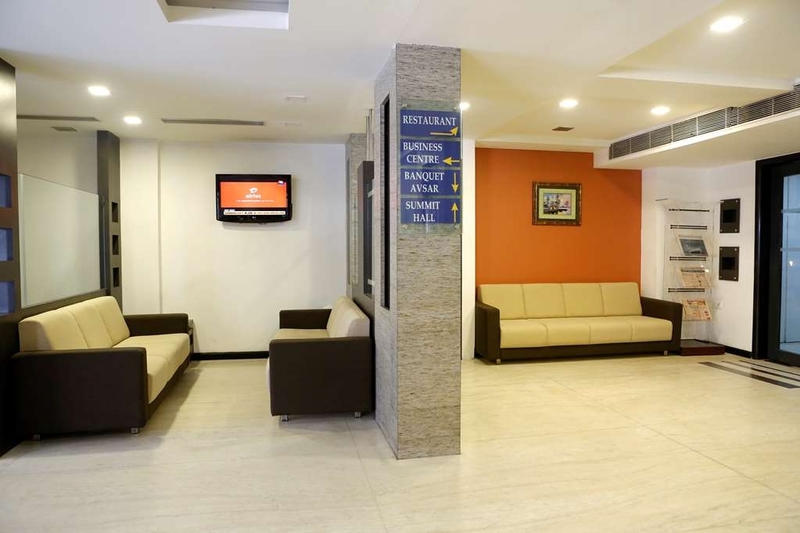 The hotel is conveniently located near the Railway station. It is located in one small lanes near the station. Car parking is difficult, the rooms of the hotel are small, the service at the hotel is average. 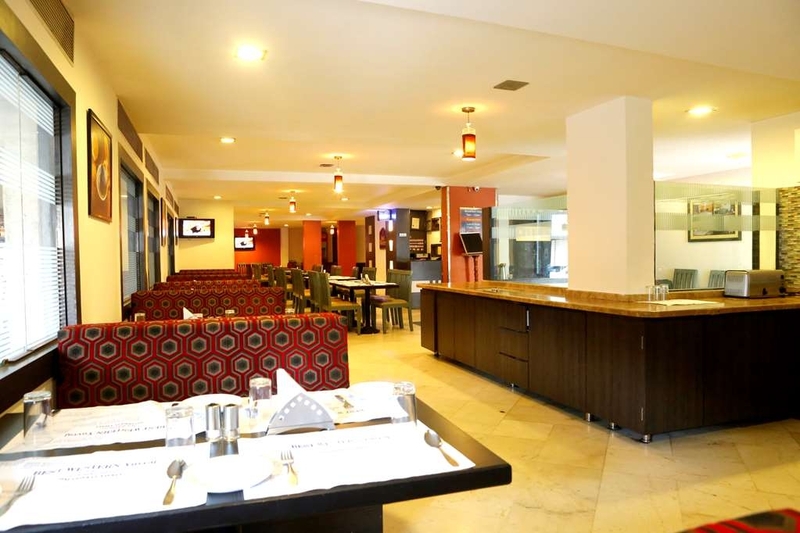 There is no amenities in the hotel, free wifi is provided by the hotel. The breakfast provided was average. "This time it was not a good experience!!!!!!" 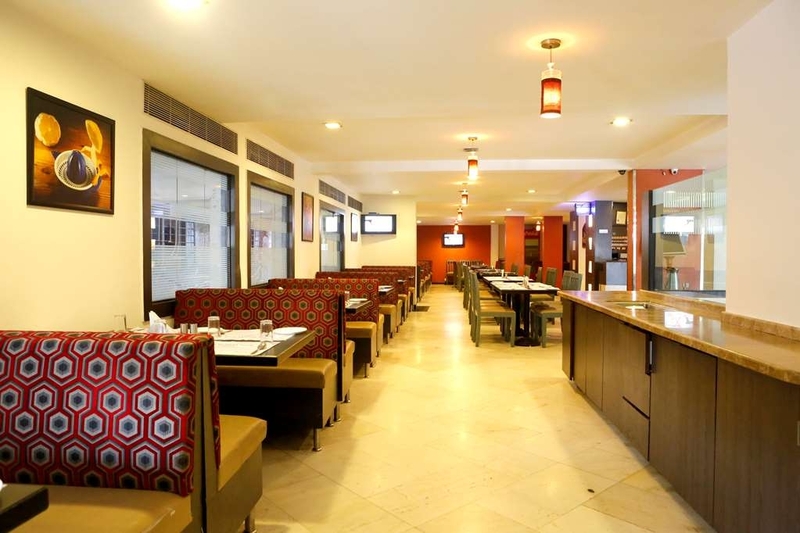 Best Western Yuvraj surat is nice hotel to stay. All staff is friendly and helpful for their guests specially front office people's . Food is good but I request management to include little menu of North also. Rest best of luck to all team of BEST WESTERN YUVRAJ SURAT. 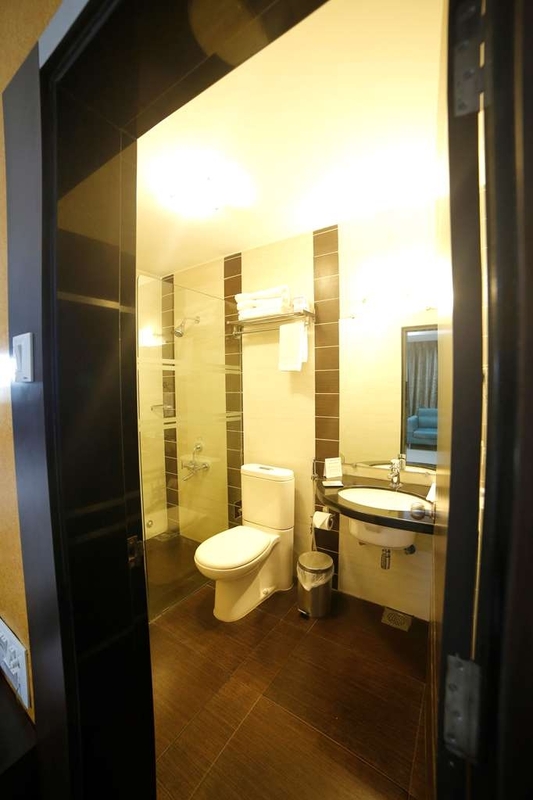 "“Recommended for Comfortable and Pleasant stay.”"
The best part of this hotel it is very near to station. 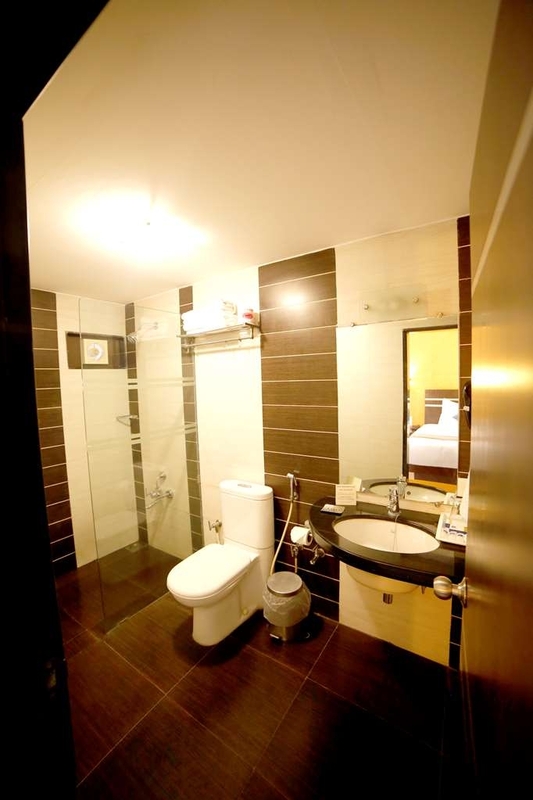 and honestly after renovation it is , Rooms are very spacious and very comfortable. The best you can try for Gujarati thali. The staff is quite approachable. I will definitely stay again next time i visit Surat. "Looks Good but it very average"